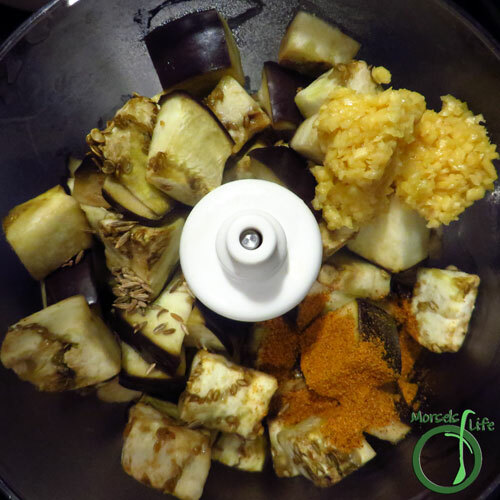 To save on time, I went ahead and cut the eggplant into chunks before baking, and I left the skin on. Otherwise, I followed Corina's recipe with just a few minor quantity modifications. What's your favorite appetizer dip? 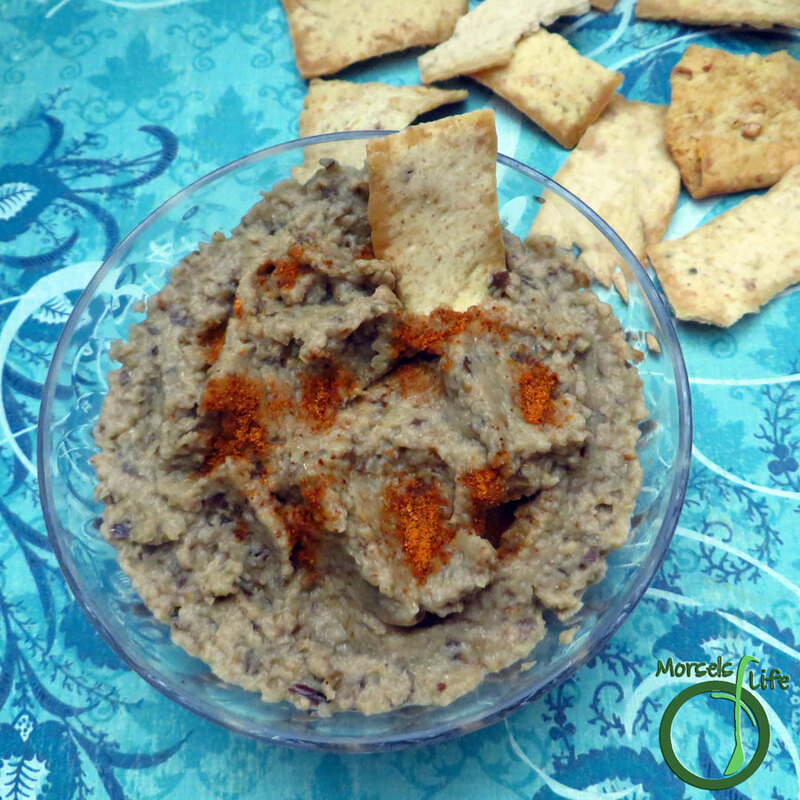 A simple and tasty eggplant dip, this Baba Ghanoush requires a mere six ingredients and less than 30 minutes. 11 grams 2 teaspoons 2 cloves garlic I used minced, although whole cloves would also work since everything goes into a food processor at the end. 42 grams 2 tablespoons lemon juice I used lime juice. 2. 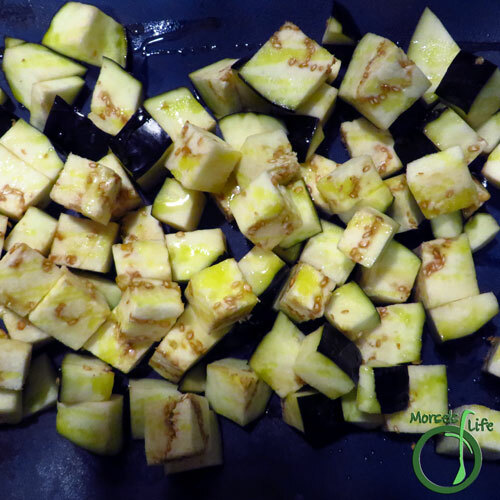 Spray a bit of olive oil over eggplant chunks, and bake at 350F for 15 minutes. 3. Combine all materials, and process to desired consistency. I'm so glad you like this! I'll have to make it again soon. 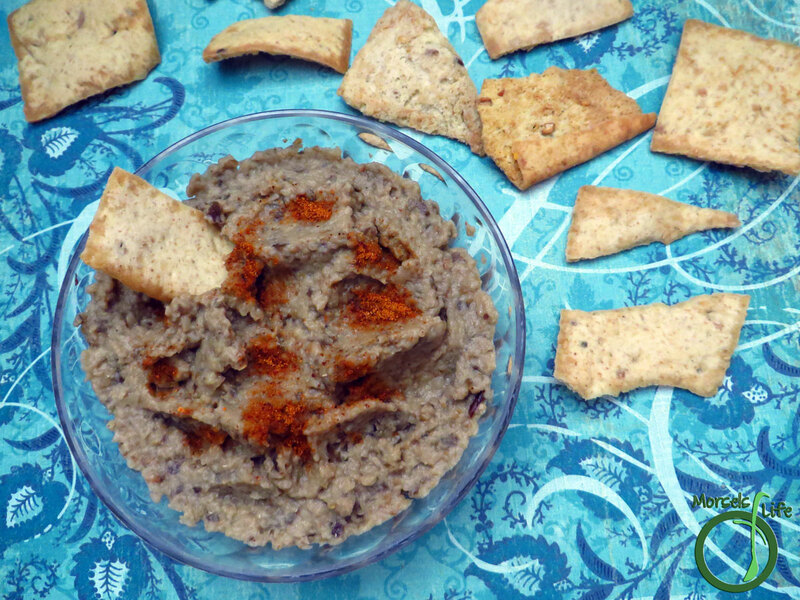 This will be a great appetizer for the holidays. 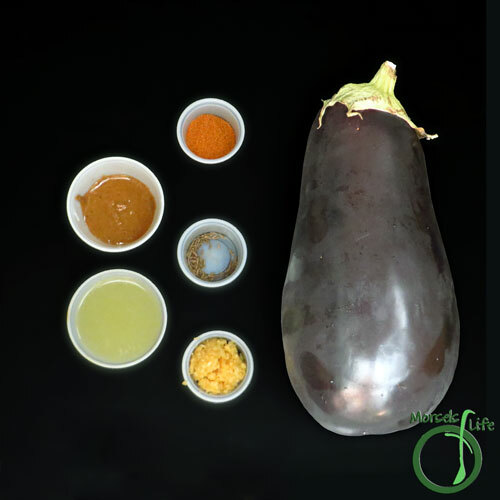 Thanks for sharing a great recipe for the SRC! That looks incredibly easy. 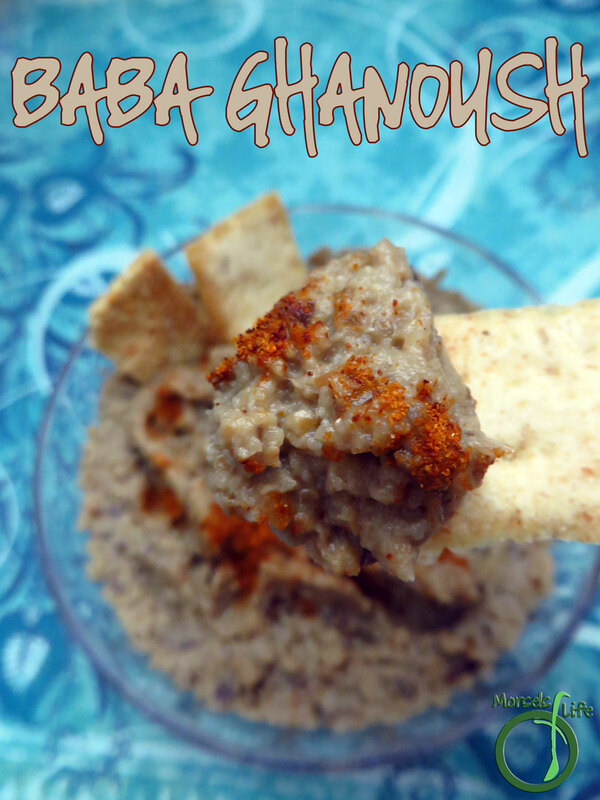 I love baba ghanoush and really should make it sometime!